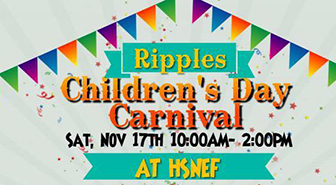 We are excited to announce that we will have our annual Ripples Children’s Day Carnival hosted by Ripples with a ton of fun activities planned including a TALENT SHOW, bouncy house and some amazing carnival games! 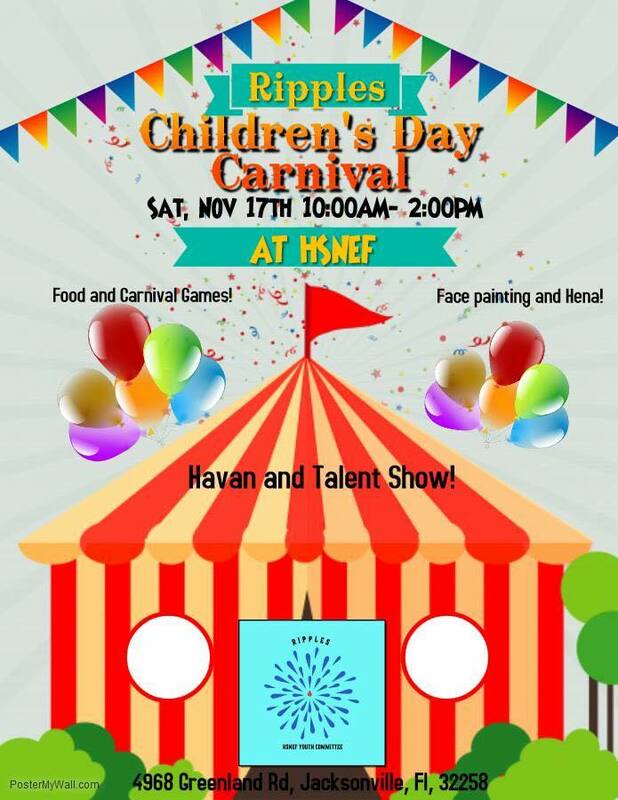 There will also be snow cones, face painting, henna, cotton candy, and much more delicious food available for purchase. Please note that this event is open to all so spread the word to your friends and family! The carnival is also one of our biggest youth volunteer opportunity to serve the community. Come out and participate to also encourage our emerging young leaders. The talent show will begin at 11am. The talent show is open to all children 6 – 18 on stage. Each performance can be up to 5 minutes long and there will be 20 perfomances allowed. A $5 entry fee is required for HSNEF members and a $10 fee is required for non-members. Fees can be paid on the day of the event in either cash or check. Please make checks payable to HSNEF Temple.